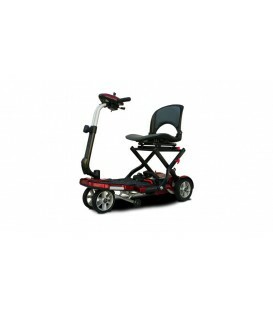 Light weight, easy to transport, articulating front wheels..just some of the advantages offered by Shoprider's Scootie™. The Scootie™ is only 82 lbs. 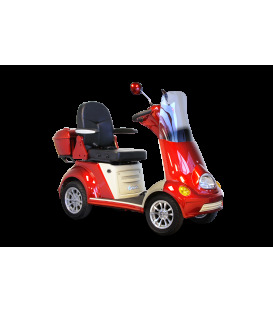 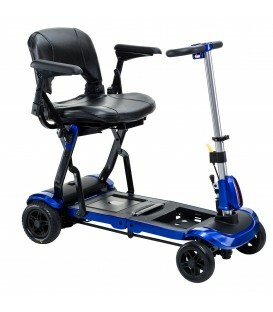 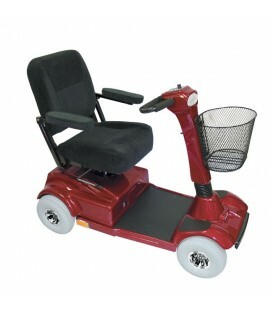 (with batteries) and has a narrow 17” width that makes it ideal for maneuvering on cruise ships. 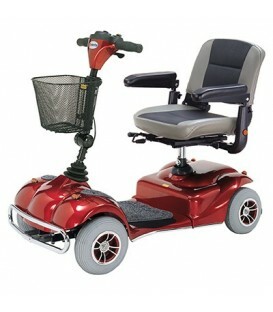 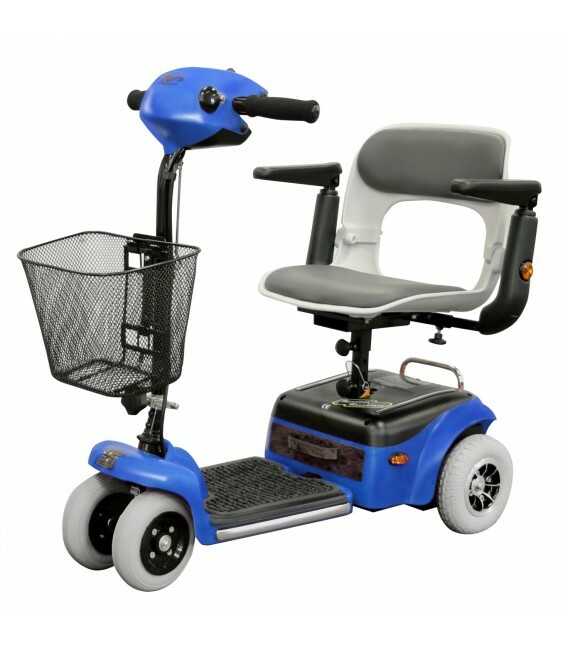 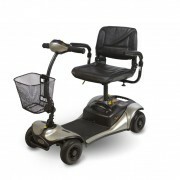 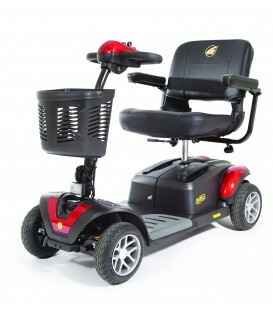 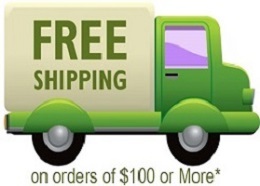 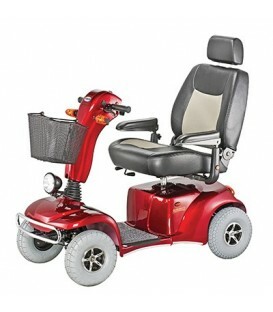 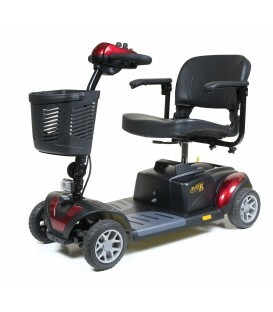 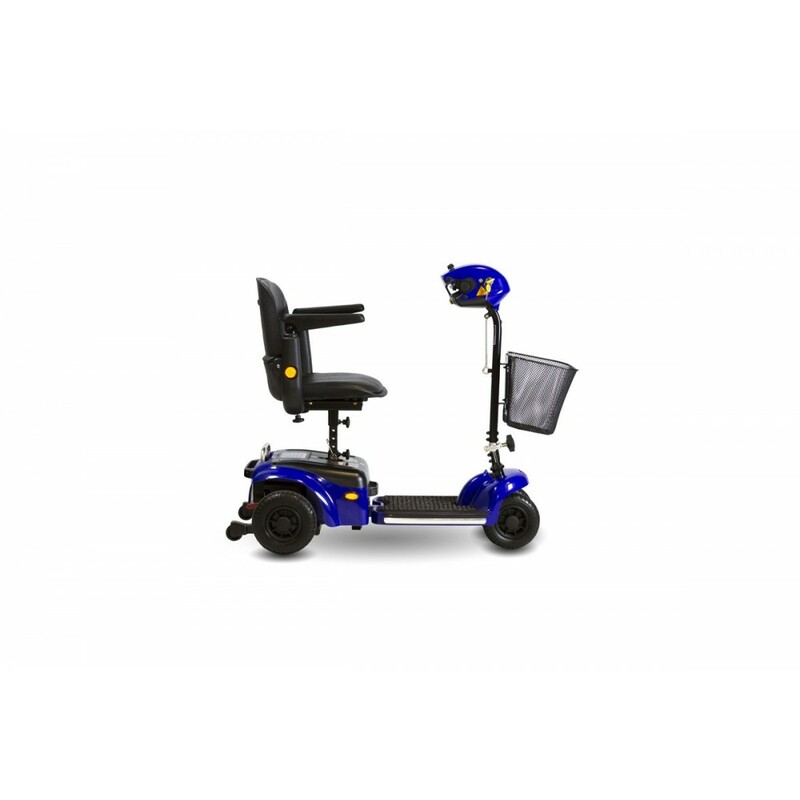 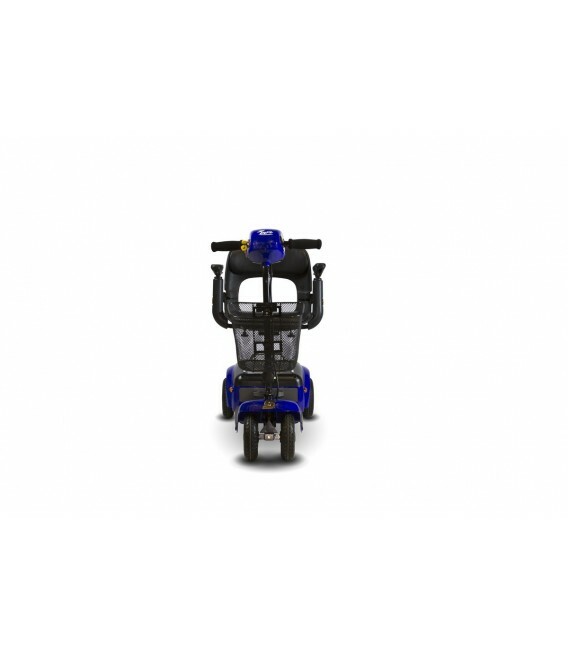 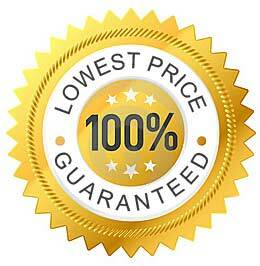 The patented articulating front wheels allow 4-wheel stability with 3-wheel maneuverability. 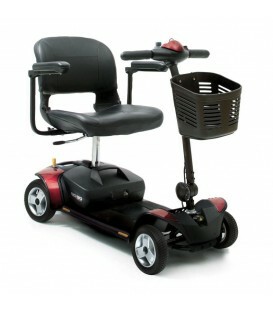 The Scootie™ is length adjustable and can fold down for easy transport. 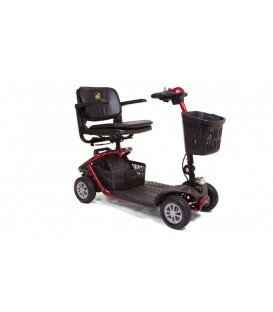 Total Weight (w/ batteries, basket, seat) 82 lbs. Weight of Heaviest Part 25 lbs. 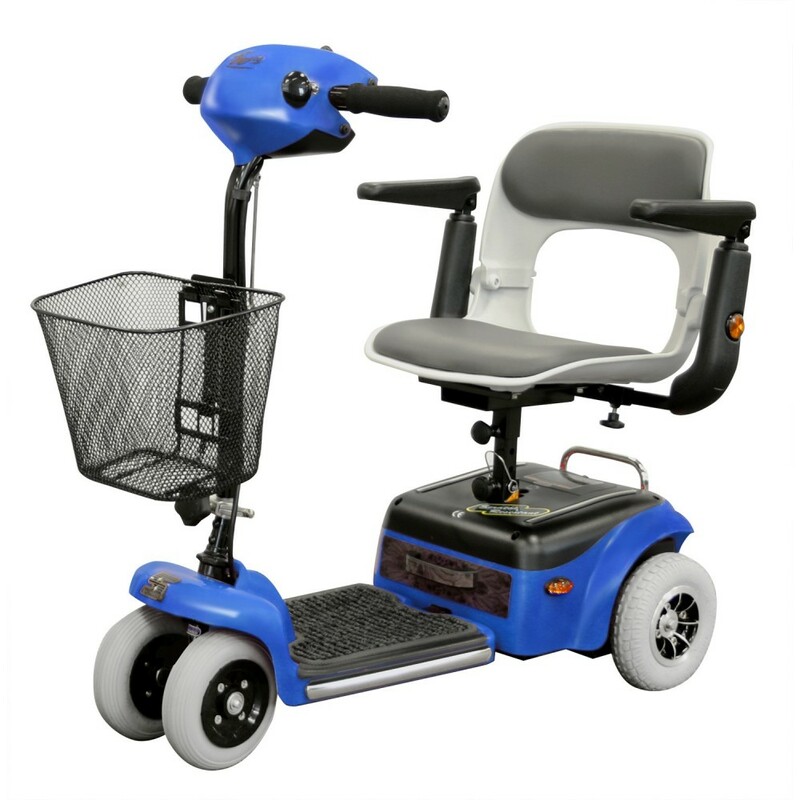 Light weight, easy to transport, articulating front wheels are just some of the advantages offered by Shoprider's Scootie™.